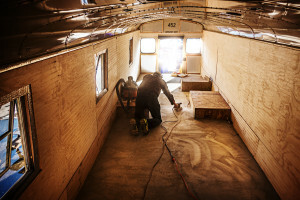 Activists are putting the finishing touches on an old school bus they purchased and renovated to serve as a shelter and medical facility for water protectors at the Standing Rock Reservation. They plan to deliver the bus – newly equipped with bunk beds, a heater, insulation and medical supplies – to the protest site next week. 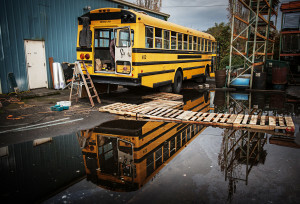 Dozens of volunteers worked long hours to remove the old bus seats and overhaul the inside, according to to Rick Rappaport, a member of the coalition. 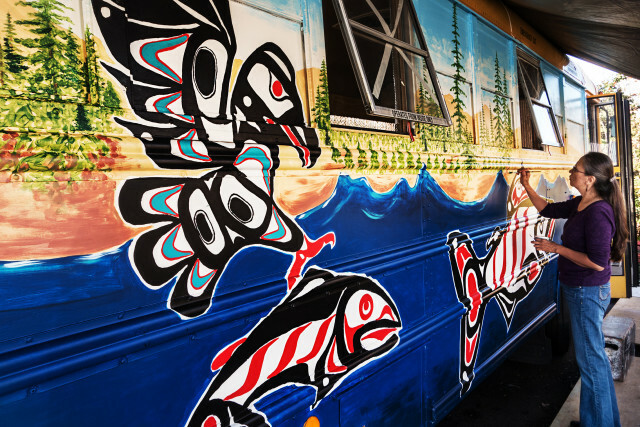 Artists volunteered to cover the outside of the bus with vibrant Native American murals. Rappaport said the project has offered like-minded people a way to support the protectors trying to protect their water and cultural resources from a controversial oil pipeline. He said their protest is vital to the fight against climate change. Last month, members of the Climate Action Coalition delivered wood stoves, clothing, food and other supplies to the Standing Rock protest site and realized they needed to do more, Rappaport said. “There was a brutal winter coming on, and there was not much there to protect the people who were out there, basically on a windswept prairie about 20 miles from any other kind of support,” he said. 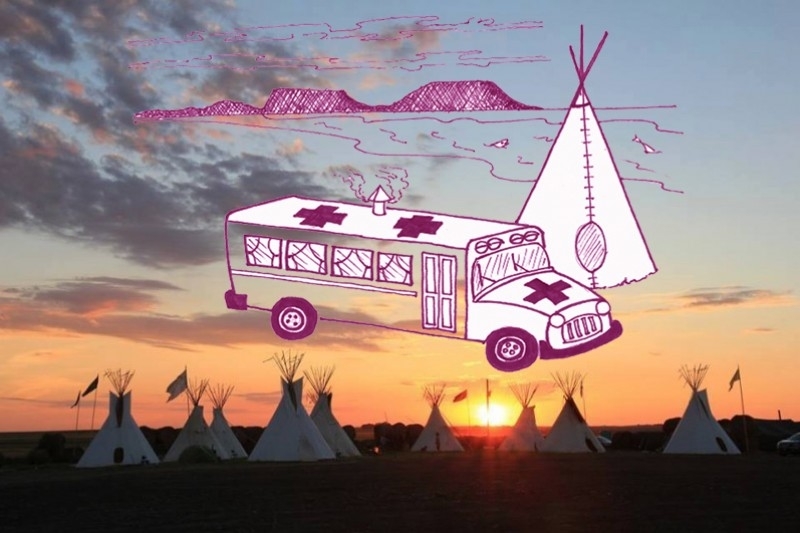 Responses to "Portland Volunteers Prepare Medical Bus For Water Protectors"
Thank you for your heart-dedication. We cannot all be 'Out-there' - but our hearts support you in this most important Cause !! How can we donate money or supplies to this effort? I'm in Portland. How can I help or donate to your efforts? Do you need any more help with the bus?